Life's richest blessings are spiritual, and they often have to do with family, friends, and the gospel. More than once I have heard the comment, “It’s expensive to be part of your church.” As a lifelong member of The Church of Jesus Christ of Latter-day Saints—sometimes inadvertently called the Mormon Church—I have found the opposite to be true: It’s cheaper to be a member of The Church of Jesus Christ. Now, this may not seem to be true from a strictly accounting perspective, but I’m not really a numbers girl. However, as the chief financial officer of Montague Family Inc., I can attest to the fact that while the numbers might not add up—we have always had enough and some to spare of what matters most. How do we do it? Let me tell you 8 ways. 1. We honestly pay our tithes and offerings to the Lord. Members of The Church of Jesus Christ pay an honest tithe, which is 10% of their annual increase, to the Lord. We also abstain from food and water for two meals, usually on the first Sunday of the month. We take the money that we would have spent on those two meals and give it to the Lord—this is called a fast offering. A fast offering isn’t limited to what we would have spent—we’re asked to pay a generous fast offering, because every penny is used to help those in need. Why do I begin my list of 8 ways it’s cheaper to be Mormon by talking about the law of tithes and offerings? Because this is where the money trail begins. As we live the law of tithing, we often receive significant but subtle blessings that are not always what we expect and easily can be overlooked. [Families may not receive] any sudden or obvious additions to the household income. Instead, a loving Heavenly Father [may bestow] simple blessings in seemingly ordinary ways. Our family has experienced this many times over. We aren’t rich, but we have always had food to eat and clothes for our children. Many times over the years, when my kids needed clothes or shoes, a friend would bring me a bag of clothes or some shoes and say, “My kids grew out of this, and I figured your kids could use these.” And they were exactly the right sizes and what I needed at the time. 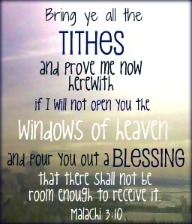 The blessings of tithing are too numerous to name, but the Lord always keeps His promises to us when we pay our tithing, He opens the windows of heaven and pours out blessings—but they aren’t always in the ways that we expect. 2. We adhere to a code of health called the Word of Wisdom. The health code ... of over a hundred years ago exactly mirrors the recommendations that are now being made in the scientific world in terms of improving health and maintaining quality of health. This code of health is a principle with a promise. Obedience to the principle brings blessings, which are that those who follow this commandment “shall receive health in their navel and marrow to their bones; And shall find wisdom…. 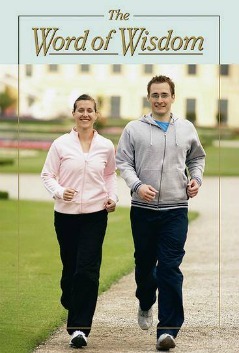 And shall run and not be weary, and shall walk and not faint (Doctrine & Covenants 89:18-20). One time when I was home from college, I went to work with my mom, who was an aide in a school for troubled kids. One of the lunch ladies asked if she could speak to all of the kids—and her message was chilling. She said she had been smoking for decades and was diagnosed with emphysema. She had problems breathing, and the doctors told her she only had a few years to live. The doctors also said that if she quit smoking, she could probably live longer. She said that her family was begging her to stop smoking, but she just couldn’t quit—it would be too hard. So she told these troubled kids: Don’t you ever start smoking. It’s not cool, and it will kill you. That story has always stuck with me. It was tragic that her addiction had such a powerful hold on her that she couldn’t shake it—literally to save her own life. Obedience to this commandment brings the blessings of health, fewer diseases and less doctor bills. But the cost of buying alcohol, cigarettes, coffee, tea and illegal drugs—especially on a regular basis—can also really add up fast. 3. 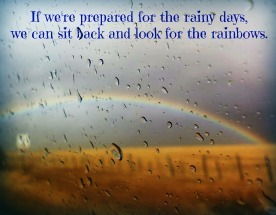 We strive to be self-reliant and build up our “Rainy Day” supply. The Church of Jesus Christ teaches its members the principles of self-reliance and food storage. Being self-reliant means avoiding racking up unnecessary debt—including credit cards and unmanageable mortgages on your home. You buy what you can pay for with cash—with the exception of a practical car and modest home. We also are taught to set money aside for savings. These principles allow people to avoid paying interest on unnecessary debt—which can add up fast. Living within our means allows us financial freedom—but it also means spending money wisely. Those who have the means to buy more expensive homes and cars do. Those who earn less, live on less and don’t try to keep up with the Joneses—although our Joneses have mastered the art of living on less but eating like kings, working together and having loads of fun in the process! The foundational principle of food storage is to buy food at the lowest price and stock up for those rainy days. That can mean buying loads of fresh peaches and then canning, freezing or making jam out of them. It can mean growing your own garden. Whatever works for each family. Learning how to use our resources wisely—buy what we need, save for what we want and build up our supply of food—helps us save money in the long run. We avoid paying unnecessary interest, and we have more time to focus on the things that matter—the things that no amount of money could buy: our family, friends and serving the Lord. 4. We know how to have fun without spending a lot of money. 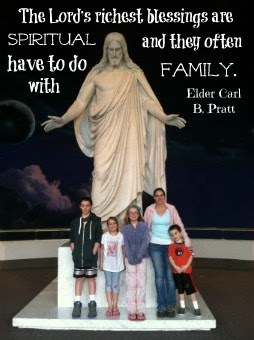 [One] key relationship [in our lives] is with our families. 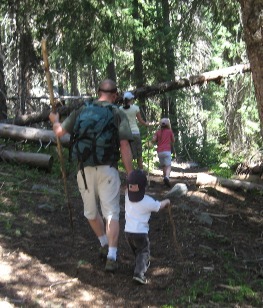 Since “no other success can compensate for failure” here, we must place high priority on our families. We build deep and loving family relationships by doing simple things together, like family dinner and family home evening and by just having fun together. In family relationships love is really spelled t-i-m-e, time. And just like love, time doesn’t cost a dime. 5. We have a built-in support system wherever we may roam. 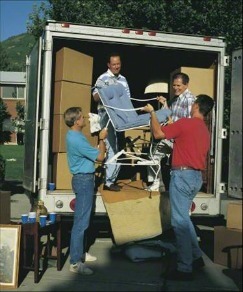 My husband and I have moved seven times in 15 years of marriage. And whether we moved a neighborhood over or several states away, we have always found a built-in support system waiting for us: our ward (which is a local congregation) family. A week before we moved into our current home 2 ½ years ago, my husband had foot surgery and couldn’t lift anything heavy for 6 weeks. I had spent the weeks before his surgery packing like crazy because I knew that my husband would help anyway. The day of the move, we had 25-30 men, women and youth and 6 pickup trucks making the rounds from our old house to the new one with all of our stuff. There were friends at our old house moving stuff out and cleaning up, and friends at our new house putting furniture together and boxes in the designated rooms. And my husband didn’t have to help. This was even more amazing because these same ward members had done the exact same thing for the friends who moved out of our new house. So they moved them out and into a new place and us out of our old place and into this one. Two days apart. And they made sure each house was clean. This is not a unique situation. We have similar stories with every move that we’ve made. It’s the spirit in The Church of Jesus Christ of helping and serving each other. As Latter-day Saints, sometimes we are the ones being helped, and sometimes we are the ones helping. And sometimes we are doing both on the same day! The financial blessings are calculable—especially when you don’t have to hire movers or a cleaning crew. But the spiritual and emotional blessings are priceless. 6. We believe in getting married and having children—in that order. In The Church of Jesus Christ, we believe in families. Families are the foundational units of society—and the Church. The Lord’s standards for families, marriage and the use of procreative powers are far different from those of the world. But the cost—financially, emotionally, spiritually and on society—of doing things the Lord’s way is miniscule compared to the ways of the world. Women and men who have children outside of marriage are younger on average, have less education, and have lower income than married parents. … Children who are born to unmarried parents are more likely to live in poverty and to have poor developmental outcomes. … The poorer developmental and behavioral outcomes experienced by children living in cohabitating households may be due in part to family instability. Human intimacy is reserved for a married couple because it is the ultimate symbol of total union, a totality and a union ordained and defined by God. … But such a total union, such an unyielding commitment between a man and a woman, can only come with the proximity and permanence afforded in a marriage covenant, with solemn promises and the pledge of all they possess—their very hearts and minds, all their days and all their dreams. 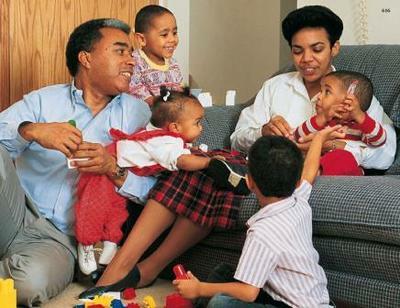 In The Church of Jesus Christ, families are central to God’s plan of happiness for His children. Marriage is defined—and ordained—by God Himself as between a man and a woman. One man, one woman. (See The Family: A Proclamation to the World.) God’s standards are clear: total sexual abstinence before marriage and complete fidelity afterward. This is the basis for happy, healthy marriages and families. And the cost of not having to deal with the physical, emotional and spiritual issues that stem from disobedience to God’s commands? Free. 7. Marriage is good for your wallet—and your health. Opposite of what many had thought, prosperity and education seem to be connected to a higher likelihood of having traditional families and values. … When people make family and religious commitments to gospel principles, they begin to do better spiritually and often temporally as well. Derek Thompson, writing for The Atlantic, … points to an analysis of census data that reveals the vast economic consequences of [abandoning marriage]. Put bluntly, the failure to marry dramatically increases the likelihood of poverty and continued economic retreat. [Thompson says] our marriage crisis is making income inequality worse. Those who are getting married and staying married are, on average, moving ahead in the economy. In contrast, those who are not married are falling behind— fast. Add to this the fact that when people marry, they tend to marry someone who shares the same work ethic. The strong get stronger and the weak get weaker. You will not be surprised to know that unmarried men are at greatest risk. Wives make a huge difference in the health habits of their husbands, right down to making sure that doctor’s appointments are made and medicines are taken. Nevertheless, married women also survive longer than unmarried women with the same disease. Even husbands really help. Single patients are far more vulnerable. Husbands and wives work together and take care of each other. They join hearts, hopes, dreams, lives—everything. And in doing so, as both Mohler and Thompson point out, we re-discover this simple math concept: Two is better than one. 8. Having large families pays big dividends. Let’s face it: Having children requires an initial investment of emotional, physical, spiritual—and yes, financial—resources. But just like any investment, the higher the risks (or costs), the greater the dividends paid in the end. But the dividends paid out from having children aren’t financial—they are spiritual and emotional. They’re paid out in hugs and kisses and homemade cards. Teaching children the joy of honest labor is one of the greatest of all gifts you can bestow upon them. … Teach children the joy of honest labor. … Let us also teach our children to see that the work assigned is carried to its completion, to take pride in what they accomplish. There is a real satisfaction that comes from finishing a task, especially when it is the best work we know how to do. My husband and I try to teach our children these principles. And it’s not always easy. My house isn’t always cleaned my way — although sometimes I insist on it when I know they’re capable — but it’s clean to the best of my children’s ability. And in the end, that’s what counts. Large families also offer a huge support system in times of need. I knew a family where one of the sons found himself in legal trouble. He was incarcerated for weeks, waiting for a hearing. His parents and all of his siblings came to court for his hearing, and the judge said, “I know I can let you go home and you’ll be fine because you have a strong support system at home.” And he did. That is the power and strength of numbers. In The Church of Jesus Christ, we believe in seeking “treasure in heaven, where neither moth nor ruse doth corrupt, and where thieves do not break through nor steal: For where your treasure is, there will your heart be also” (Matthew 6:20-21). Those treasures save us money in terms of worldly things—but they also provide abundant blessings that money just can’t buy. This page was last edited on 4 November 2013, at 15:00.